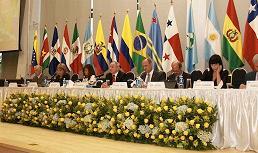 The Latin American Parliament (Parlatino), is a regional, permanent organization composed by the countries of Latin America and the Caribbean. It is a consultative assembly similar to the early European Parliament. .